Each person is a unique individual and therefore so should the approach taken in their therapy. My office is a sacred space and I believe being chosen to be someone's therapist is a true honor. When you come to me for help, I spend some time getting to know you, what makes you unique, what your passions, strengths and areas of growth are. We work together to define goals you have, the obstacles you want to overcome and will discuss from the beginning how you will know when you have reached your goals. I do not see my role in clients' lives as a permanent one in which my clients are to become dependent on me. Rather, my job is to equip you to fly free. One of my favorite moments in therapy is when my clients can confidently say, "I don't think I need to come anymore." Learn more about my Services. When you embrace your REAL self, the possibility for REAL growth is unlimited. I will encourage you to take an honest look at your life. I also promise to be 100% real with you. No Judgment. No BS. Real, AUTHENTIC, Caring Help to address REAL life issues so you can see REAL change & REAL growth. LIFE is...beautiful, hard, emotional, challenging, bittersweet, growth, birth, death and everything in between. We were never meant to live LIFE alone. LIFE shouldn't be miserable. I will help you deal with all of the messiness of LIFE so that you can find JOY and THRIVE! Counseling is a CREATIVE process. I believe in CREATIVELY thinking outside the box and challenging my clients to push the limitations of life in order to create the life, Relationships and Families they so deeply desire. Together we CREATE something Beautiful. 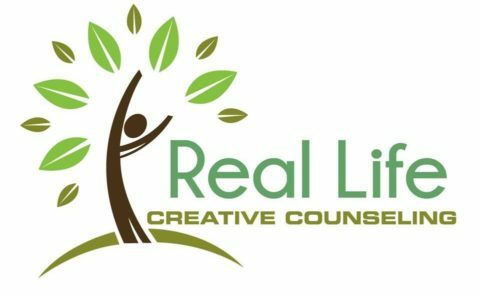 COUNSELING, Consultation, Therapy and Education: All designed to help individuals, couples, and families overcome obstacles, grow, and achieve the lives they are dreaming of...investing in COUNSELING is an investment in your future. Are you Ready to Thrive? Research has shown that the most important factor that leads to whether therapy or counseling works or doesn't work, is whether the therapist is the right person for you. This is why I offer not only a free 15-minute consultation, but also a no-commitment first session. I want you to find the right therapist. I would love to be that for you, but if after we meet together we decide I am not, I promise to never hold that against you and will even provide resources for other options. I became a therapist because I am deeply passionate about helping people to grow, change and become the person they dream of being. I fell in love with psychology in college at CU-Boulder. After graduating from there in 2002, I started working in counseling and social work jobs immediately before earning my Masters in Counseling in 2008. I have worked in public, private and non-profit settings. No matter the setting, I have loved seeing people's lives changed. I received my LPC (license) in 2013 and continue to passionately speak, write and counsel others to reach their goals. In addition to my Counseling degree, I also hold a Masters degree in Christian Studies and happily incorporate faith and spirituality into my practice as clients desire. I work hard to practice what I preach with balance between work and personal life, parenting my 4 girls and pursuing my own dreams. In my "spare" time, I enjoy working out, cooking, dancing, traveling and spending time with loved ones. Call, Text or Email to set up a free 15-minute phone Consultation! I can't wait to see you Thrive!